A change was made in 2015 to the way users access federal student aid information online. 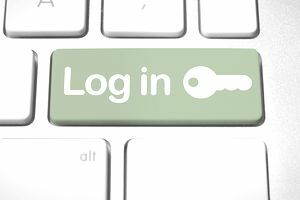 The U.S. Department of Education implemented a new Federal Student Aid User ID system, which replaces the four-digit PIN with an FSA ID that is similar to the username and password prompts used on most websites. This new ID will be used to confirm your identity when accessing several U.S. Department of Education websites for a number of tasks. Filing the FAFSA: Students entering college and those already in college use the Free Application for Federal Student Aid to ascertain eligibility for initial and continuing federal student aid. Completing federal student loan paperwork and counseling. Use this website to complete and sign federal student and parent loan Master Promissory Notes; apply for federal loan consolidation; complete entrance, financial awareness and exit counseling; or use the repayment estimator. Accessing information on existing federal student loans. The National Student Loan Data System helps borrowers keep track of federal loan indebtedness and provides contact information for loan servicers. Enrolling in the TEACH Grant program: A Federal TEACH (Teacher Education Assistance for College and Higher Education) Grant may be able to help you pay for college if you are willing to spend time as a teacher in a high-need field in a low-income area after graduation. The website is used to complete a TEACH Grant Agreement to Serve and participate in TEACH Counseling. The Department of Education has developed a guide for creating an FSA ID to help you through the process. Once you log into any of their websites, you simply click on the available link for creating an FSA ID. Similar to other websites, you will now be asked to create a unique username and password, and to enter your e-mail address. After that, you will fill in your name, Social Security number, date of birth, contact information and provide answers to five challenge questions for security purposes. If you already have a Federal Student Aid PIN, you will be able to enter it and link it to your new FSA ID. Once you have completed the preliminary process, you will receive a confirmation email with a secure code. After you confirm your email address, you can use it instead of your username when logging into the various websites. Now that you have a new FSA ID, you can use it to sign a FAFSA right away. If you linked an existing PIN to your FSA ID, you can immediately access the various sites. If you did not link a PIN, the Department of Education will verify your information with the Social Security Administration. Your information must be correct with the Social Security Administration before your FSA ID can be processed. After about three days, you will also be able to use the sites. Your FSA ID has the same legal status as your written signature and can be used to electronically sign legally binding documents online. Safeguard this information as you do all of your usernames and passwords, so as to avoid having it fall into the wrong hands. Get this taken care of as quickly as possible, so you don’t run into any problems down the line. Keep in mind that your FSA ID username will not expire, but your password will expire every 18 months.